Space Colonization—A Design Study. Report of the NASA/ASEE 1975 Summer Faculty Fellowship Program in Engineering Systems Design. Eric Burgess, editor. NASA SP-413. Washington, D.C.: U.S. Government Printing Office. Proceedings of the 1975 Princeton Conference on Space Manufacturing Facilities (Space Colonies). New York: American Institute of Aeronautics and Astronautics, 1290 Avenue of the Americas, New York, N.Y. 10019. “Lunar Utilization, Abstracts of Papers Presented at a Special Session of the Seventh Annual Lunar Science Conference.” David R. Criswell, editor. The latest information about space colonies may be found in the L-5 News, the monthly magazine of the L-5 Society. This is the leading organization devoted to advocacy of space colonization. The following references are listed by the first chapter in which they were used. Many of them were referred to as well in preparing material for subsequent chapters. Dyson, F. J. “The Flow of Energy in the Universe.” Scientific American, September 1971, pp. 50-59. Hoyle, F. Galaxies, Nuclei and Quasars. New York: Harper & Row, 1965, pp. 132-160. Oliver, B. M., ed. Project Cyclops. NASA CR-114445. Moffett Field, Calif.: Ames Research Center, 1971, pp. 24-26. Sagan, C. The Cosmic Connection. New York: Dell Publishing Co., 1973. Sagan, C., and Shklovskii, I. Intelligent Life in the Universe. New York: Delta Books, 1966, pp. 246- 257. Wolfe, J. H. “Jupiter.” Scientific American, September 1975, pp. 118-26. Brand, S. “Interviewing Gerard O’Neill.” CoEvolution Quarterly, no. 7 (Fall 1975), pp. 20-28. O’Neill, G. K. “The Colonization of Space.” Physics Today, September 1974, pp. 32-40. Berman, P. A. “Photovoltaic Solar Array Technology Required for Three Wide-Scale Generating Systems for Terrestrial Applications: Rooftop, Solar Farm, and Satellite.” Technical Report 32-1573, California Institute of Technology, October 15, 1972. Brown, W. C. “The Receiving Antenna and Microwave Power Rectification.” Microwave Power 5 (December 1970): 279-92. Clarke, A. C. Profiles of the Future. New York: Bantam Books, 1967, pp. 12-21. Ehricke, K. A. “Regional and Global Energy Transfer by Passive Power Relay Satellite.” Space Division, Rockwell International Corporation, Report SD 73-SH-0017, April 1973. Glaser, P. E. “Solar Power Via Satellite.” Astronautics and Aeronautics 11 (August 1973): pp. 60-68. Hammond, A. L. “Photovoltaic Cells: Direct Conversion of Solar Energy.” Science, November 17, 1972, pp. 732-33. “Microwave Power Transmission in the Satellite Solar Power Station System.” Technical Report ER 72-4038, Raytheon Co., Jan. 27, 1972. Miles, M. “Scientists Test Plan for Orbital Power Beams.” Los Angeles Times, October 6, 1975, p. 3. O’Neill, G. K. “Space Colonies and Energy Supply to the Earth.” Science, December 5, 1975, pp. 94347. Williams, J. R. “Geosynchronous Satellite Solar Power.” Astronautics and Aeronautics 13 (November 1975): pp. 46-52. Boyd, R. “World Dynamics: A Note.” Science, August 11, 1972, pp. 516-19. Brand, S. “Apocalypse Juggernaut, Goodbye?” CoEvolution Quarterly, no. 7 (Fall 1975), pp. 4-5. Forrester, J. W. World Dynamics. Cambridge, Mass. : Wright-Allen Press, 1971. Gillette, R. “The Limits to Growth: Hard Sell for a Computer View of Doomsday.” Science, March 3, 1972, pp. 1088-92. Heppenheimer, T. A., and Hopkins, M. “Initial Space Colonization: Concepts and R&D Aims.” Astronautics and Aeronautics 14 (March 1976): pp. 58-64, 72. O’Neill, G. K. “The High Frontier.” CoEvolution Quarterly, no. 7 (Fall 1975), pp. 6-9. Tuerpe, D. R. “A Two-Sector World Model.” University of California Lawrence Livermore Laboratory, Preprint UCRL-75500, Livermore, California, December 1974. Vajk, J. P. “The Impact of Space Colonization on World Dynamics.” Technological Forecasting and Social Change 9 (1976). Barfield, C. E. “Technology Report/Intense debate, cost cutting precede White House decision to back shuttle.” National Journal, August 12, 1972, pp. 1289-95. Barfield, C. E. “Technology Report/NASA broadens defense of space shuttle to counter critics’ attacks.” National Journal, August 19, 1972, pp. 1323-32. Castenholz, P. D. “Rocketdyne’s Space Shuttle Main Engine.” AIAA Paper 71-659, American Institute of Aeronautics and Astronautics, New York, N.Y., June 14, 1971. Faget, M. “Space Shuttle: A New Configuration.” Astronautics and Aeronautics 8 (January 1970): pp. 52-60. Gillette, R. “Space Shuttle: Compromise Version Still Faces Opposition.” Science, January 28, 1972, pp. 392-96. Kline, R., and Nathan, C. A. “Overcoming Two Significant Hurdles to Space Power Generation: Transportation and Assembly.” AIAA Paper 75-641, American Institute of Aeronautics and Astronautics, New York, N.Y.
Mueller, G. E. “The New Future for Manned Spacecraft Developments.” Astronautics and Aeronautics 7 (March 1969): pp. 24-32. 1973 NASA Authorization—Part 2 (record of Congressional hearings). Washington, D.C.: U.S. Government Printing Office, 1972, pp. 720, 722-39. “Shuttle Systems Evaluation and Selection.” Vol 4, “Booster Data.” Grumman Aerospace Corporation, December 15, 1971. “Shuttle Systems Technical Review.” Report SSV 73-26, Space Division, Rockwell International Corp., April 16, 1973. “System Concepts for STS Derived Heavy-Lift Launch Vehicles Study.” Technical Proposal D18018743-1, Boeing Aerospace Co., April 1975. Greeley, R., and Schultz, P., eds. A Primer in Lunar Geology. Moffett Field, Calif.: NASA Ames Research Center, 1974. Heppenheimer, T. A. “Two New Propulsion Systems for Use in Space Colonization.” Journal of the British Interplanetary Society, in press. Heppenheimer, T. A., and Kaplan, D. “Guidance and Trajectory Considerations in Lunar Mass Transportation.” AIAA Journal, in press. Kolm, H. H., and Thornton, R. D. “Electromagnetic Flight.” Scientific American, October 1973, pp. O’Neill, G. K. “Engineering a Space Manufacturing Center.” Astronautics and Aeronautics 14 (October 1976): pp. 20-28, 36. Hagler, T. “Building Large Structures in Space.” Astronautics and Aeronautics 14 (May 1976): pp. 5661. Ley, W. Rockets, Missiles and Men in Space. New York: Viking Press, 1968. 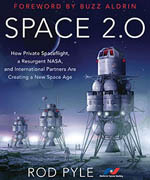 Schweikart, R. “Space colonies should keep away from the government for a while.” CoEvolution Quarterly, no. 9 (Spring 1976), pp. 72-78. Farquhar, R. W. “The Utilization of Halo Orbits in Advanced Lunar Operations.” Report X-551-70449, NASA Goddard Space Flight Center, December 1970. O’Neill, G. K. CoEvolution Quarterly, no. 9 (Spring 1976), pp. 50-51. O’Neill, G. K. “Space Colonization and Energy Supply to the Earth.” Testimony before the Subcommittee on Space Science and Applications, U.S. Congress, July 23, 1975. Winter, D. L. “Man in Space: A Time for Perspective.” Astronautics and Aeronautics 13 (October 1975): pp. 28-36. Bradfield, R. “Multiple Cropping: Hope for Hungry Asia.” Reader’s Digest, October 1972, pp. 217-21. Todd, J. “The New Alchemists.” CoEvolution Quarterly, no. 9 (Spring 1976), pp. 54-65. Carriero, J., and Mensch, S. “Building Blocks: Design Potentials and Constraints.” Office of Regional Resources and Development, Cornell University, 1971. Hannah, E. C. “Radiation Protection for Space Colonies.” Journal of the British Interplanetary Society, in press. Wetherill, G. W. “Solar System Sources of Meteorites and Large Meteoroids.” Annual Review of Earth and Planetary Science 2 (1974): 303-31. Black, D. C., and Suffolk, G. C. J. “Perturbing Aspects of the Companions of Barnard’s Star.” In On the Origin of the Solar System, edited by H. Reeves, pp. 336-38. Paris: Centre National de la Recherche Scientifique, 1972. “Large Space Telescope—A New Tool for Science.” Proceedings of a conference, January 30–February 1, 1974. American Institute of Aeronautics and Astronautics, New York. Metz, W. D. “Astronomy: TV Cameras Are Replacing Photographic Plates.” Science, March 31, 1972, pp. 1448-49. Oliver, B. M. “The Search for Extraterrestrial Life.” Engineering and Science 38 (December 1974–January 1975): pp. 7-11, 30-32. “Space Erectable Large Aperture Reflectors.” Report LMSC-A946613, Lockheed Missiles and Space Company, March 26, 1969. “The Astronomer in the Engine Room.” Time, October 27, 1975, pp. 75-76. Van de Kamp, P. “Problems of Long-Focus Photographic Astronomy.” Applied Optics 2 (January 1963): pp. 9-15. Van de Kamp, P. “Alternate Dynamical Analysis of Barnard’s Star.” Astronomical Journal 74 (August 1969): pp. 757-59. Wilcox, J. M. “Solar Structure and Terrestrial Weather.” Science, May 21, 1976, pp. 745-48. Wuenscher, H. F. “Manufacturing in Space.” Astronautics and Aeronautics 10 (September 1972): pp. 42-54. Conn, R. W., and Kulcinski, G. L. “Fusion Reactor Design Studies.” Science, August 20, 1976, pp. 630-33. “Food and Agriculture.” Special issue, Scientific American, September 1976. Goeller, H. E., and Weinberg, A. M. “The Age of Substitutability.” Science, February 20, 1976, pp. 683-89. Metz, W. D. “Fusion Research (II): Detailed Reactor Studies Identify More Problems.” Science, July 2, 1976, pp. 38-40. Parnati, C., and Lord, M. “Population Implosion.” Newsweek, December 6, 1976, p. 49. “The Human Population.” Special issue, Scientific American, September 1974. Chapman, C. R. “The Nature of Asteroids.” Scientific American, January 1975, pp. 24-33. McCord, T. B., and Gaffey. M. J. “Asteroids: Surface Composition from Reflection Spectroscopy.” Science, October 25, 1974, pp. 352-55. 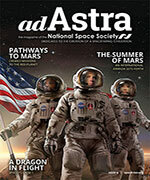 O’Leary, B. T. “Mining the Apollo and Amor Asteroids.” Science, in press. Boyer, K., and Balcomb, J. D. “Systems Studies of Fusion Powered Propulsion Systems.” AIAA Paper 71-636, American Institute of Aeronautics and Astronautics, June 1971. Brandenburg, R. “A Survey of Interstellar Missions.” Technical Memorandum M-30, Astro Sciences, HT Research Institute, Chicago, July 1971. Heppenheimer, T. A. “Some Advanced Applications of a 1-Million-Second ISP Rocket Engine.” Journal of the British Interplanetary Society 28 (1975): 175-81. Hyde, R.; Wood, L.; and Nuckolls, J. “Prospects for Rocket Propulsion with Laser Initiated Fusion Microexplosions.” AIAA Paper 72-1063, American Institute of Aeronautics and Astronautics, November 1972. Martin, B. D. “Data Subsystems for 12-Year Missions.” Astronautics and Aeronautics 8 (September 1970): pp. 55-61. High Densities I. Thermonuclear (CTR) Applications.” Nature 239 (1972): 139-42. Strong, J. G. Flight to the Stars. New York: Hart Publishing Co., 1965.